Other Ingredients Whey Protein Blend (Whey Protein Isolate, Whey Protein Concentrate, Whey Protein Hydrolysate), Natural & Artificial Flavors, Lecithin, Xanthan Gum, Salt, Sucralose, Acesulfame Potassium, Salt. CONTAINS: Milk and Soybeans. 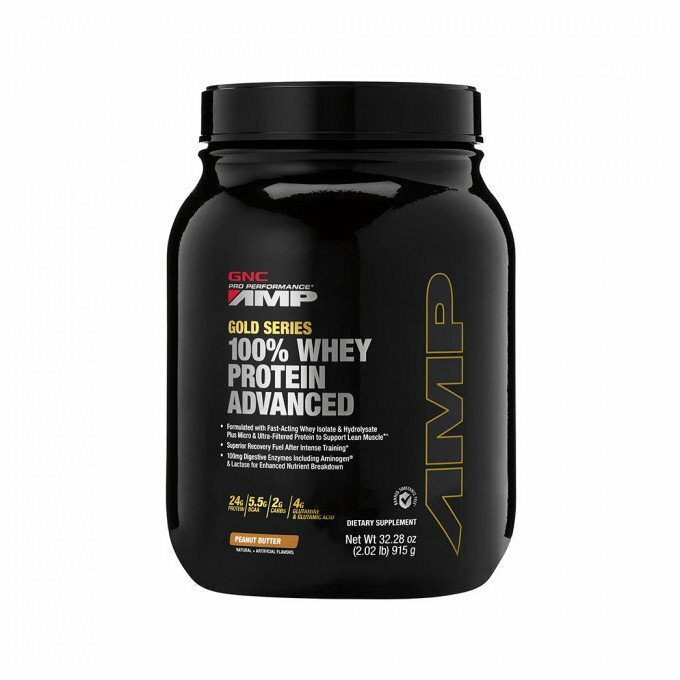 Serving Directions As a dietary supplement, Gold Series 100% Whey Protein Advanced instantly mixes with your favorite beverage. Just simply stir, shake or blend 1 scoop (30.5 g) with 6-8 fl.oz. of cold water, milk or a beverage of your choice. For maximum results, take 1-2 scoops 2-3 times daily.